The pairing: I’m picking Hannibal for a few reasons here. 1) I’m firmly of the belief that it’s the best show on television right now. I speak in hyperbole all the time (*wink wink*), but I mean it here: Hannibal is the cream of the crop. 2) For those unfamiliar with the legend of Hannibal Lecter, let me just say that the show has an *ahem* culinary focus. Many of the episodes focus on a particular meal or course, and those are often paired with a beer or wine. I was pretty particular about this pairing, and I really think it’s one of the better ones I’ve done. 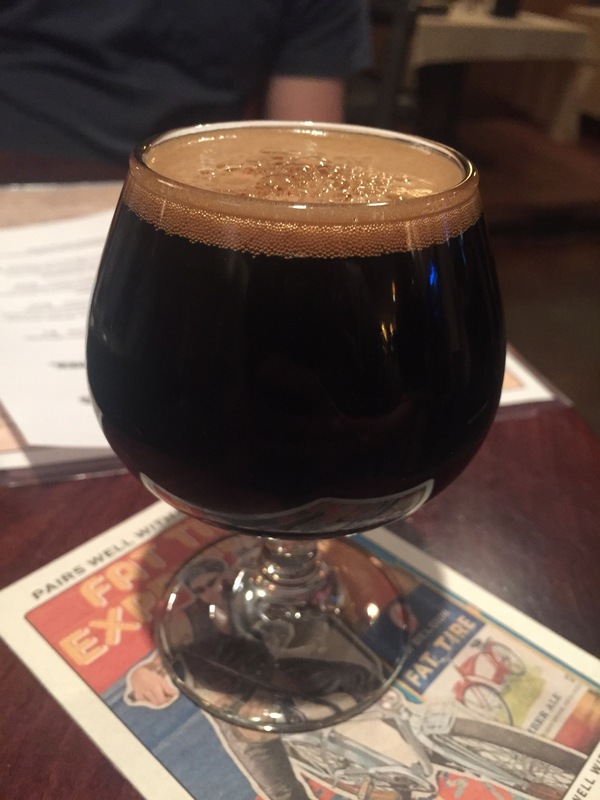 The Abyss is a big, black stout with an ABV over 10%. It’s not for the faint of heart. It’s an enjoyable beer to drink alone, but it also pairs really well with rich, juicy meats, which leads me to the show itself. Hannibal is bold; not just because of the dark thematic material that it covers but also because of the sheer amount of gore it throws at viewers. It’s probably the goriest show I’ve ever watched this side of The Walking Dead. But this isn’t a slash-em-up show by any means. Instead, creator Bryan Fuller has crafted a psychological horror masterpiece. The tension drips from each scene and character like a rare steak. Some of the best performances on television reside within its confines, including Mads Mikkelsen as the show’s namesake. It’s also one of the more refined shows currently running. There’s an elegance that permeates everything, from set design to dialogue; it contrasts the brutality always lurking beneath the surface. Hannibal explores the depths of humanity’s dark side, but it also shows how people can be redeemed from their failings. There’s a firm sense of justice, but sometimes the morality isn’t as black and white as some might like. It all makes for a deeply complex show, one that’s hard to binge on. Take it (and The Abyss) slow. Hannibal is returning to NBC on June 4. You can find the first two seasons on Amazon Prime. Game of Thrones Update: You didn’t think I’d forget, did you? Last week’s episode “Sons of the Harpy” was easily the best of the season thus far, going so far as to kill off our first major (?) characters. And yes, there was much talk of wine, as there will be when the Lannisters are present. Cersei mentions the High Septon requesting a “vintage” wine, so try something aged this week. Perhaps a big stout or porter? The high ABV will offset the pain of the losses of some of your favorite semi-major characters.